Holy Thursday - April 18 at 7 p.m.
Good Friday Services - April 19 at 3 p.m. and 6 p.m.
Holy Saturday - April 20 at 9 p.m.
Easter Sunday - April 21 at 7 a.m., 9 a.m. and 11 a.m.
Sunday 8:30 and 11 a.m.
Holy Day 8:30 a.m. and 7 p.m.
Tuesday, Wednesday, and Thursday 5:30-5:50 p.m.
During Fridays of Lent only: Friday 5:30-5:50 p.m. Weekday confessions are only heard if Mass is celebrated. Eucharistic Adoration is available on the First Friday and Saturday of every month. 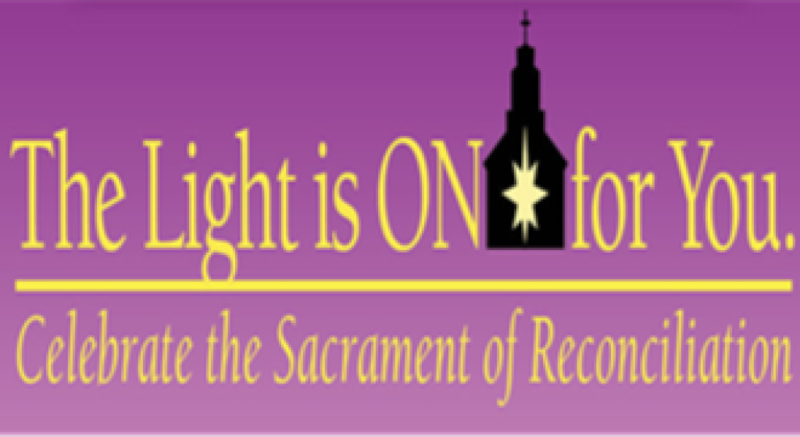 Adoration begins after the 8:30 a.m. Mass on Friday and ends with Benediction at 8:30 a.m. on Saturday. Adoration is also available each Friday that the school is in session. 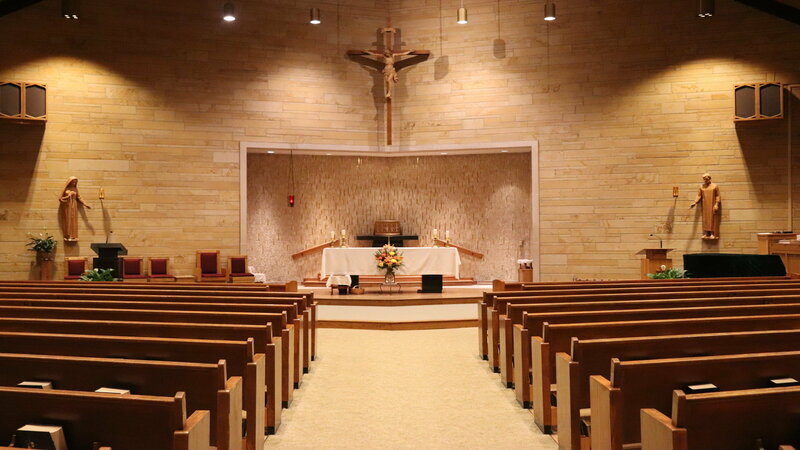 It begins after the 8:30 a.m. Mass and ends with Benediction at 2:30 p.m.
All are welcome to come and pray before the Blessed Sacrament. If you would like to commit to one-hour per month to pray before Our Lord click here.